Our product range includes a wide range of glass shower partitions for homes. We are one of the well-known exporter, manufacturer, supplier, wholesaler, trader, retailer and importer of Glass Shower Partitions for Homes. The offered glass shower partitions for homes are made from superior grade glass, for serving in homes and residential apartments. 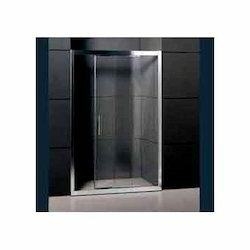 Our manufactured glass shower partitions are available at very cost effective market rates.